These beautiful huggie earrings are lovely and very functional to wear. 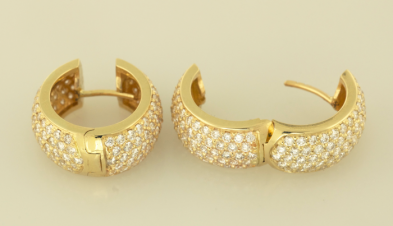 Diamond and 14KT yellow gold huggy style earrings set with 3.00ct. 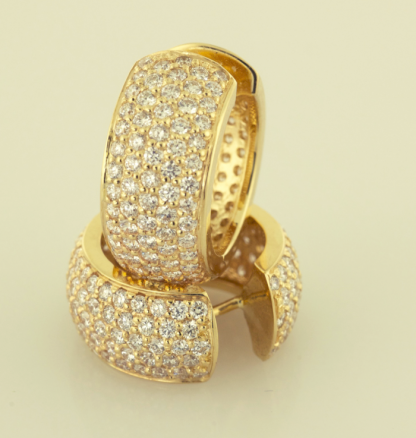 total weight in diamonds.